We’ve been looking at what it takes to Build a Joyful Church. We’ve seen the necessary ingredients of encouragement, humility, and unity. But there’s one key ingredient we still need: generosity. The Bible says, “It is more blessed to give than to receive.” There is a blessing in receiving, but there is a greater blessing in giving. A vital ingredient to Build a Joyful Church is generosity. God desires a joyful church made up of joyful people. A joyful church is a generous church. A joyful life is a generous life. But what does our generosity say about us? Can’t God do his work without my offering? How does generosity lead to joy? 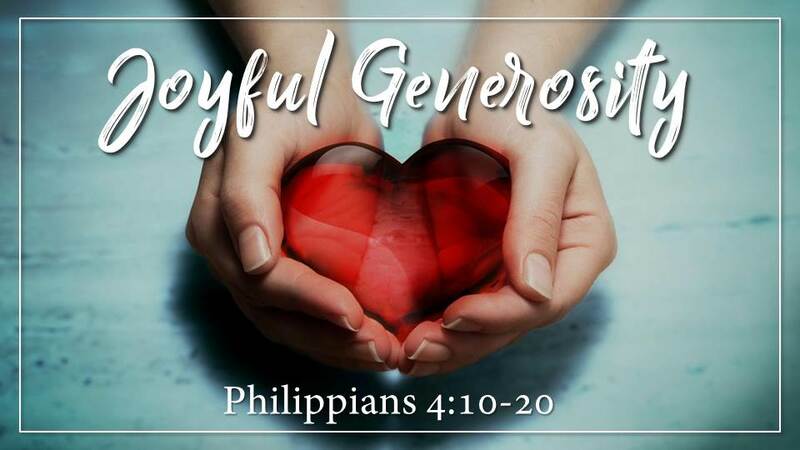 Let’s look to the conclusion of Philippians where we will see God’s call for Joyful Generosity.